NFL players are weighing the possibility of sitting out the whole season until Colin Kaepernick is signed. 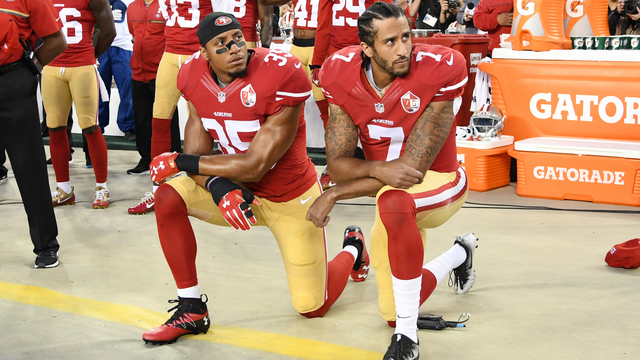 Colin Kaepernick started his 'kneeling' protest as a stance against the high number of young, black, unarmed men being shot dead unceremoniously by American police. Since then, he's been unsigned as a player, despite being a far better quarterback than 50% of the current crop. And the NFL has brought in new rules against protests, under pressure from Trump, who claimed it as a 'victory'.